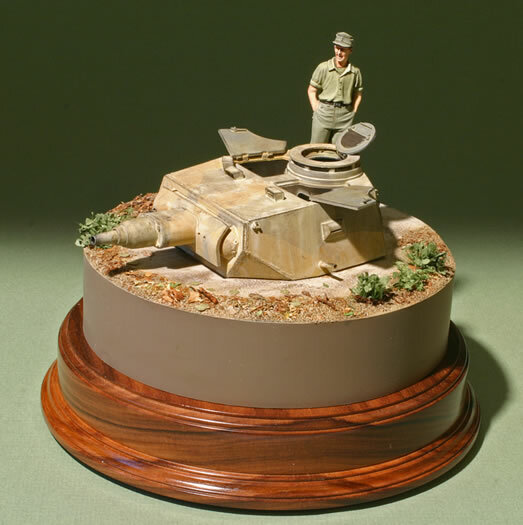 Trumpeter's recent release of a 1/35th VK3001 heavy tank may not have gotten everyone very exicited considering how few were built. 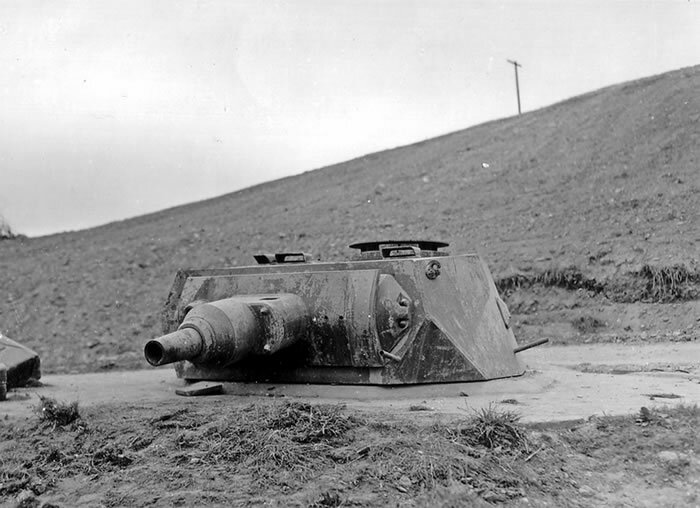 However, for afficianados of D-Day stuff, it offered the intriguing possibility of making it possible to build one of the more enigmatic Omaha Beach defenses, one of the T 3001 panzerturm in WN68 in La Ruquet ravine, part of Srongpoint St. Laurent. Two of these turrets were mounted on Bauform 246 bunkers in 1944. 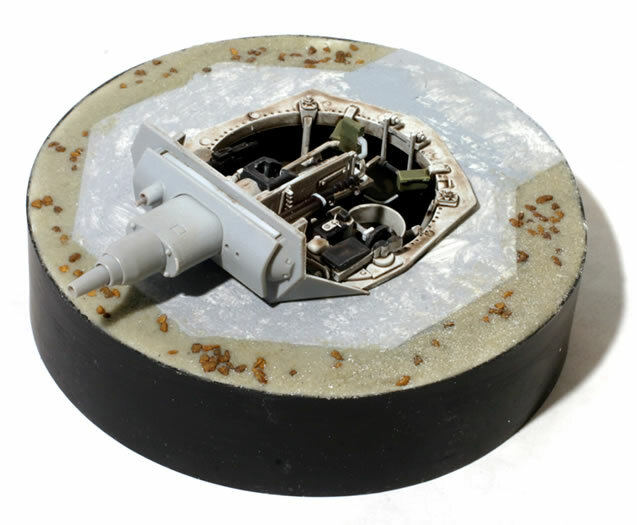 This is a fairly straightforward "conversion" involving an out-of-box construction of the kit turret, and creation of a vignette base. I made the base out of Evergreen sheet plastic, .020 thou black sheet plastic for the basic disc and .040 thou white plastic for the concrete pedestal. The earth near the concrete is my usual Apoxie Sculpt epoxy putty concoction with pebbles. The figure is a Blue Max resin figure. The paint scheme is largely conjecture as the historical photo suggests a multi-color hard-edge scheme. 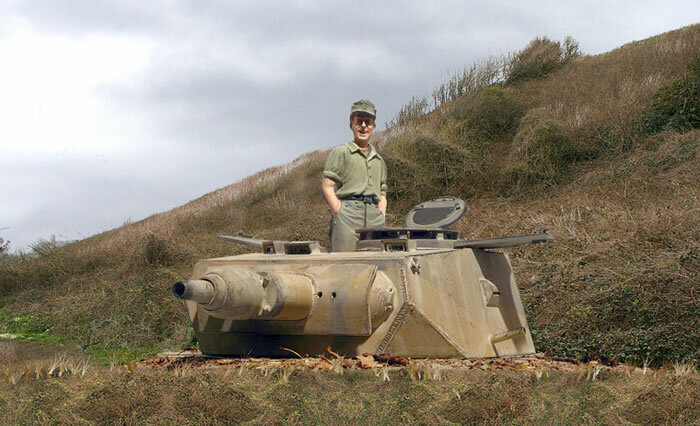 The background photo in the scenic view was taken on Omaha beach near where I think the turret was located (long since removed). An article will follow in a future issue of Military Modelling.